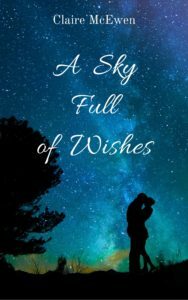 Anyway, that non-NaNoWriMo story, A Sky Full of Wishes, is so much fun to write. 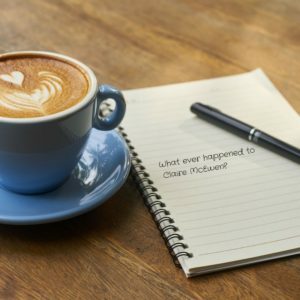 But it’s been a slow-brewing tale, meaning it took me ages to work out the plot, the characters, their motivations, trials, tribulations, etc. And yes, I do all that in advance. I am a planner with a capital P these days! (More about the reasons for that in another post as well!) I don’t quite know where it will end up in terms of being published. The only confidence I have at this point is that I really want to tell this story. I’m also rewriting my proposal for Harlequin’s Heartwarming line. I got a lovely response from them on my Hope River proposal. But unfortunately, the underlying message was ‘rewrite everything and try again’. It’s dawning on me, as I see my fellow Superromance authors announce new contracts, that I may end up with the honor of The Very Last Superromance Author to Find a New Gig. But hey, someone has to hold that title… I guess it may as well be me. Though it does sting a little. But the truth is, Real Life has taken up a lot of room lately, leaving very little space for Fictional Life. (See my previous Healthy Writer posts for more information on that!) So all I can do now is grab my invisible bootstraps, give a mighty pull, and keep trying. Anyway, in honor of Tuesday, which writers on the Internet like to call #TeaserTuesday, here is a snippet from A Sky Full of Wishes, that I just wrote moments ago. I hope you enjoy it! Her father hitched at his shabby green cardigan and took the only other seat in the small church office. He leaned forward, clasped his hands, and his mouth tugged down in disapproval. Sunny’s stomach, still trying to recover from all that Southern Comfort, lurched a little. “By a few parishioners, I assume you mean Franny Owens?” That woman liked to stir trouble right along with the coffee she served up at the Harmony Café. He left out the part about her underwear glowing like a big white beacon, thanks-be-to-Jesus, but Sunny was pretty sure, from the red blotches on his cheeks, that he knew about that too. ← Healthy Writer – Let’s Make Some Green Smoothies! Best wishes as you navigate your book and publishing. Thank you so much, Denise, I so appreciate your support and the good wishes. It’s really fun to rediscover my joy in writing! I loved this, it looks like you have another winner, Claire. Take heart that things happen for a reason and you will come out on top! Thank you so much, Susan! Your friendship and support are so lovely!